An article in Medium by Malcolm Harris about the declining pay of freelance writers reports: "I would be remiss if I omitted that almost every person I spoke to brought up one of the industry's worst-kept secrets: New Yorker staff writers, some of the most admired journalists in the business, don't typically receive health insurance." This may help at least partly explain two things. First, the ferocity against which the New Yorker fought the possibility of repeal of ObamaCare. Second, the degree to which it relies on writers (Princeton's John McPhee; Harvard's Jill Lepore and Atul Gawande, Columbia's Adam Kirsch and Nicholas Lemann) who have additional jobs as academics and who therefore get their health insurance paid for by alumni donors or tuition-paying parents. 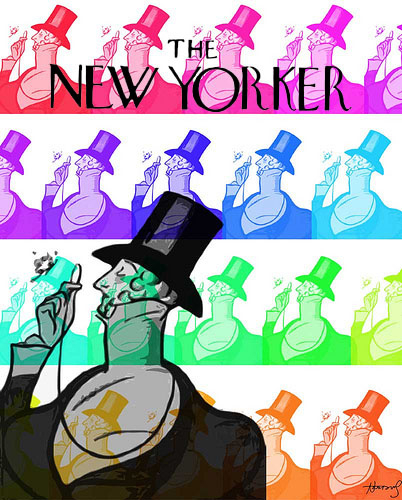 Earlier coverage of the New Yorker at FutureOfCapitalism is here, here, here, and here.